Situated beside St. Patrick's Cathedral, tradition has it that St. Patrick baptised the first Irish Christians there with water from the River Poddle which flows underground. Developed by Lord Iveagh under the St. Patrick's Park Act of 1897, work was completed by July 1904 to a layout by Arthur Dudgeon C.E., dated 17th July 1901. Lord Iveagh continued to maintain the park for a number of years under a joint arrangement with the Corporation who eventually took full responsibility in the 1920's. 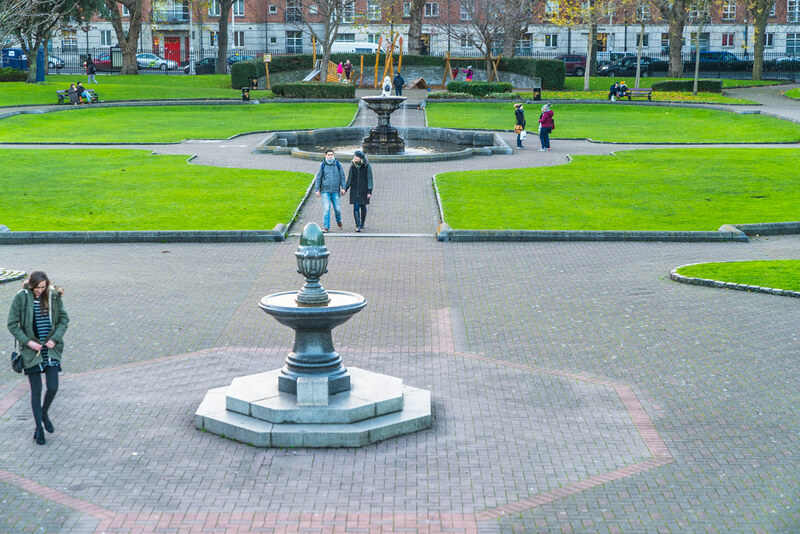 The park provides an ideal setting for the cathedral and recent additions in 1988 include a Literary Parade highlighting the works of Swift, Mangan, Wilde, Shaw, Yeats, Synge, O'Casey, Joyce, Behan, Beckett, Clarke, Dillon and the Liberty Bell Sculpture. There is also a children's playground.